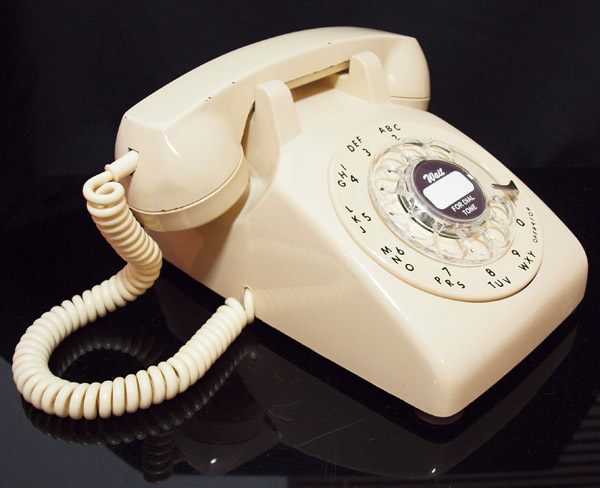 Genuine 500 series telephone. A very cheap way to give your home a retro feel. This has been stripped down and cleaned both inside and out. 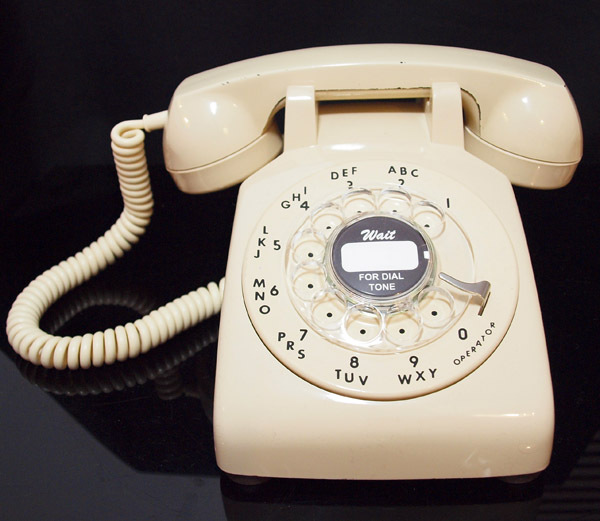 It has a new handset cord and line in and is fully working to dial out and receive perfectly. I bought a large number of these and they were as they were stored after being taken out of service. This one has been factory painted over its long lifetime and has a few chips in the paint. It looks great this way and is as cheap as chips. It comes with the dial label as seen in the picture. This is a classic model used in the USA and Canada and the model No is 500 series and dated from 1949 in black and colours from 1954. This is a very nice design and can be seen in hundreds of American films. This telephone has a beautiful ring tone and you will best remember this from the Rockford files at the beginning of each episode. 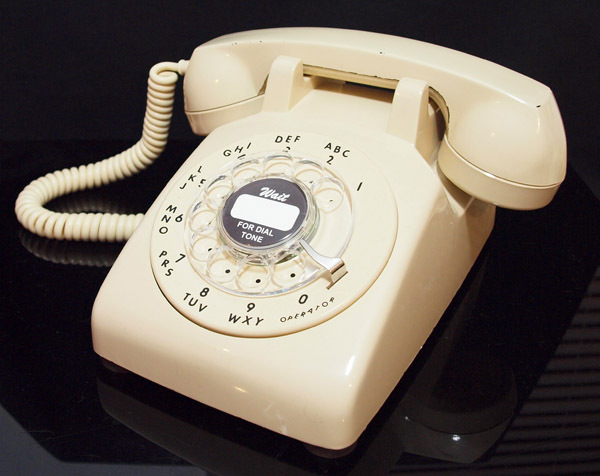 The ringer is adjustable to be loud or soft via a small wheel under the telephone. The 500 series model was so popular it is now being copied and many reproductions are being sold. This is the genuine article and have them in stock. They were built to a very high standard and in the short time I have been dealing with this model I have been very impressed. This is a fine looking telephone and working perfectly to dial out and receive using a UK plug socket.